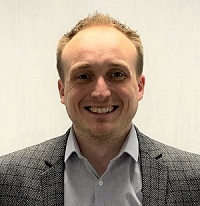 Coalville, UK – March, 2019 - TriMark Europe Limited is pleased to announce the appointment of Richard Footer as its new European Sales Manager. Richard has a BEng in Computer Aided Engineering & Design from Sheffield Hallam University. ​​​​​​​He has more than 12 years of experience, having started his career in engineering and later moved into technical sales and has also held positions of Area Sales Manager and Regional Business Manager, all with Permastore Limited. In his role as Sales Manager, Richard will be responsible for implementing the overall European sales strategy and identify new sales opportunities for both new and existing markets and business. He will oversee the sales team, develop relationships with key market players and manage internal and external sales processes. David Farrar, Managing Director, added "I am delighted that Richard has joined us and I know that he will be a great asset as we continue to grow the business." Coalville, UK – February 22, 2017 - TriMark Europe Limited is pleased to announce the appointment of David Farrar as its new Managing Director. David has a BEng in Production Engineering, MPhil in Manufacturing Strategy and an MBA with distinction from Warwick University, UK. Along with this, David brings a wealth of general management experience gained through a long and successful career. This includes a deep knowledge of power generation with Alstom, the construction equipment sector with Kab Seating and fast moving consumer goods with Cewe Photobooks. David has held senior roles in both the UK and France. David assumes the role from Keith Dolbear, who has held the position for more than 15 years, and has seen TriMark sales grow by more than four fold. David said “I am honoured to have been selected to lead TriMark Europe into its next phase of growth and development, building on its reputation of providing innovative high quality door access systems”. Keith will continue to support the TriMark Corporation as a Board Member and is currently working with David to ensure the smoothest transition. TriMark Corporation is an employee-owned company and is a recognized leader in the design and manufacture of quality mechanical and electronic access systems and related products for the recreational vehicle, agricultural, truck, construction, and enclosure Markets. The TriMark Corporate headquarters is located in New Hampton, Iowa, USA. TriMark serves the European Market through its subsidiary, TriMark Europe Ltd, based near Coalville, Leicestershire and Sutton in Surrey. For more information on TriMark's range of door systems and access solutions, contact TriMark Corporation at +1 641-394-3188, TriMark Europe at +44(0)1530 512460 or visit www.trimarkcorp.com or www.trimarkeu.com. 12/8/14, New Hampton, IA. 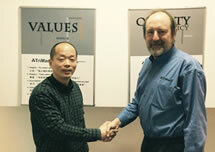 TriMark Corporation, a leading global designer and manufacturer of access door systems including latches, handles, linkages, hinges and electronic access solutions, has announced the appointment of Wesley Yao as the General Manager of TriMark Automotive Components Co. Ltd., located in Xuzhou, China. Mr. Yao is responsible for leading the China team to take the division's business to the next level. His focus is on achieving greater customer satisfaction and driving growth through leadership and leveraging TriMark's products and technologies in China. Mr. Yao brings to TriMark over 15 years of production management, product development, factory start-up and manufacturing line transfer experience in construction related companies in China. Prior to joining TriMark, Mr. Yao held a number of senior management roles for leading companies including Ryerson Steel Fabrication, Caterpillar, Ingersoll-Rand Machinery and KAMA Machinery. Wesley holds a Bachelor's degree in Auto Design and Manufacture from Jiangsu University of Science and Technology. TriMark Corporation is an employee-owned company and is a recognized leader in the design and manufacture of quality hardware products for the recreational vehicle, agricultural, truck, construction, and enclosure markets. The TriMark corporate headquarters is located in New Hampton, Iowa, USA. 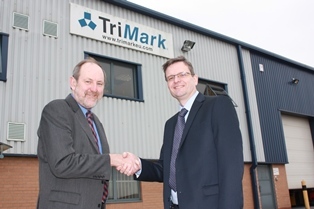 TriMark serves the China market through TriMark Xuzhou and the European market through its subsidiary, TriMark Europe Ltd, based at Bardon Hill, near Coalville, Leicester. TriMark has been a valued partner supplier to Caterpillar for more than 35 years, in addition to other global customers, including John Deere, Volvo, Paccar, AGCO, Case New Holland, and Winnebago, who provide world class vehicles and equipment. For further information please contact: sales@trimarkcn.com. New Hampton, IA – February 2013 - TriMark Corporation is pleased to announce that Oscar Gonzalez is the newest addition to the sales team and will be representing TriMark in the Mexico and Central America Regions. "Oscar brings significant technical and sales experience in the transportation and specialty vehicle markets and is an excellent addition to TriMark's sales team. We are truly excited to have Oscar on board and working with TriMark customers in that part of the world." states Kevin Roths, TriMark's Director of Global Sales. In addition to the TriMark products, Oscar will be supporting the sales of Prima's well-respected portfolio of handles and locking mechanisms to the Mass Transportation market in Mexico. You can reach Oscar at 791-913-1055 or email euramtec@prodigy.net.mx. New Hampton, IA - Febrero de 2013 -TriMark Corporation se complace en anunciar la más reciente incorporación al equipo de ventas, del Representante para México y Centroamérica de TriMark; Oscar González. "Oscar trae consigo una valiosa experiencia técnica y de ventas, en el mercado del autotransporte y vehículos especializados y es una suma excelente al equipo de ventas de TriMark. Estamos verdaderamente entusiasmados por tener a Oscar a bordo en nuestra compañía y de que trabaje con los clientes de TriMark en esa parte del mundo." puntualizo Kevin Roths, Director de Ventas Globales de TriMark. Además de los productos de TriMark, Oscar estará apoyando las ventas de la respetada gama de productos Prima de manijas y sistemas de cerradura para el mercado del autotransporte en México. Usted puede localizar a Oscar al Tel. (52) 791-913-1055, Móvil; (52) 55-5144-8601 o al correo electrónico euramtec@prodigy.net.mx . November 2010 - TriMark Corporation is delighted to announce the promotion of Kendra Knowlton to Director of Global Quality Assurance. She has a BA degree in Management from the University of Northern Iowa and has been employed by TriMark for 18 years and brings extensive experience of managing change across all areas of the corporation. Her experience includes internal ISO auditor, implementing the document control portion of the ISO Quality standard, charter member of TriMark's RISC (Rapid Improvement Superior Commitment) team, setting the direction and deploying Continuous Improvement efforts at TriMark. Kendra completed her Six Sigma Black Belt training in September of 2003 and received the Tiger Award for Outstanding Performance. She has held this position for the past 7 years and is passionate about continuous improvement of TriMark's business processes and systems. In addition, she has led several process improvement project teams promoting the spirit of Lean, Kaizen and Six Sigma methods in both office and manufacturing environments. 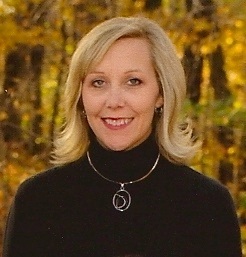 Kendra's responsibilities include managing and leading TriMark's Global Quality Team's throughout the Corporation. This position plays a critical role in defining and leading the quality assurance strategy across all of TriMark's manufacturing locations in the US, UK and China. Please join us in welcoming Kendra to the TriMark Team. August 2009 - Tom started work at TriMark earlier this year as the Account Manager for the ag and off-road markets and was recently promoted to Global Account Manager. His responsibilities include the continuation of managing the ag and off-road markets as well as leading the effort in strengthening TriMark's presence in large global accounts. Tom is a native of Cedar Falls, Iowa and attended the University of Northern Iowa. He brings to TriMark extensive experience (20+ years) in the precision factory automation and stampings industry with DT Industries and Doerfer Companies and is familiar with many of our customers in the ag and construction industries. His positions have included National Accounts Manager, Sales Manager, New Business Manager and Large Engineering Program Manager. 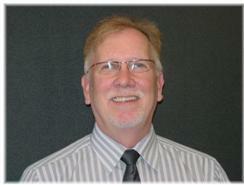 Please join us in welcoming Tom to the TriMark Sales Team. New Hampton, IA. – February 2009 – TriMark Manufacturing based in New Hampton, IA introduced several new products at the Association of the United States Army's 2009 Winter Symposium and Exposition February 25 – 27, 2009 in Ft Lauderdale FL. While TriMark has attended this event in the past and has participated in various Symposium sponsored activities, this is the first year for creating an actual display for the Exposition itself. TriMark's Kevin Roths states, "Our involvement in the armored vehicle industry has really expanded just in the past year. We have new systems and products that have been developed specifically for this market and the only way to really show them off is in an exhibit format." TriMark is taking this opportunity to introduce its COMMANDoor concept which will be featured in a complete and functioning door display. The door fully integrates mechanical blast locks and a primary FMVSS latch with a power-assist actuation and control system to open and close the door for those vehicles with very heavy doors. The inside control handle's unique 2-axis electromechanical design allows for simple and intuitive hand motions by the soldier to activate the open and close action of the door. Additionally, the door's power-assist components are modularized to fit in a compact space below the inside door cover. One of the programs offered by TriMark that has gained a quick and appreciative acceptance in this industry is the availability of "kitted" door systems. These systems allow a purchaser to utilize a single product number to purchase everything that will be required in terms of access systems for that door. TriMark will début a new product platform for the armored vehicle market consisting of new exterior door handles and a new internal linkage module, as well as announcing that they have the capability to design and manufacture door support hinges in various duty ratings. The new HD Rotational L Handle expands the current TriGuard product offering of exterior and interior door handles. This robust L Handle features modular construction that allows for customization, including the use of light weight materials, without sacrificing strength. The handle also allows for the use of a padlock for security. We are pleased to announce that on September 20, 2007 TriMark Europe Ltd, a subsidiary of TriMark Corporation, have acquired West Alloy Ltd. Located in the UK. West Alloy is a Market leader in the design and manufacture of locks, hinges, window stays and associated fittings for the world's best-known industrial and leisure vehicles. Keith Dolbear, Managing Director of TriMark Europe, said "that it is 'business as usual' at West Alloy and will remain a separate entity and continue to manufacture products in the UK. West Alloy has built a sound reputation for on-time delivery of quality products and TriMark will ensure that this progress continues. The merger will allow current West Alloy customers access to the wider variety of products and systems from the TriMark range". TriMark Corporation is an employee-owned company and is a recognized leader in the design and manufacture of quality hardware products for the recreational vehicle, agricultural, truck, construction, and enclosure Markets. The TriMark Corporate headquarters is located in New Hampton, Iowa, USA. TriMark serves the European Market through its subsidiary, TriMark Europe Ltd, based at Bardon Hill, near Coalville, Leicester. Keith Dolbear added "To date, this has been an engineering, sales and distribution function so we are pleased to add manufacturing capacity to our business growth strategy.